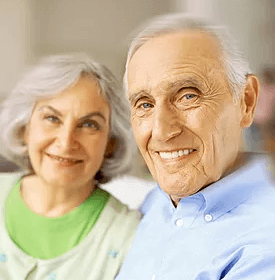 Our free, personalized placement service connects seniors interested in keeping their freedom with the perfect independent living communities for their needs. Independent living is ideal for seniors who are looking for companionship and freedom from housekeeping, laundry, transportation, and preparing meals. The facilities customarily have a community dining room, with wait staff to take orders. Typically they offer a van or bus for transportation, although many residents have their own car. They also may have a beauty salon and community areas such as a library, theater room, exercise room, craft area, pool or worship center. Apartments vary in sizes from studios to 2 bedroom/2 bath. This type of facility also offer the option of emergency call buttons in rooms. Some may allow residents to hire their own personal caregivers or nurse if they need help. Independent living is great for seniors who are on the go and are able to live on their own, but enjoy the shared dining experience and relief from the upkeep of a home or apartment. Learn more about our independent living communities & other senior housing placement services for your area!